Imagine dynamite going off near your home every 10 seconds, injuring your family, rattling your windows, drowning out all your attempts at conversation. Imagine that these deafening, non-stop explosions go on for days, weeks, even years on end. There is no escape from the excruciating noise. What toll would this relentless sonic assault take on your hearing, on your nervous system, on your very ability to function? That’s the situation that the last 284 beluga whales of Alaska’s Cook Inlet are facing right now. Actor and environmental activist Pierce Brosnan has made a new powerful one-minute video for NRDC to help us rally support for the Cook Inlet belugas. Watch the video now. The Apache Alaska Corporation has launched a deafening airgun assault as it explores for oil and gas in Cook Inlet — the belugas’ only home in the world. At close range, the explosive noise of airguns can cause injury, hearing loss and even death. The blasts will repeat every 10 to 12 seconds and could last 3 to 5 years. Worse, the Obama Administration gave Apache the green light to proceed with this operation — in the very home waters that our government is supposed to be protecting. Make no mistake: Apache’s plan is a violation of the federal laws that are meant to safeguard marine mammals from threats like this one. In recent years, we’ve watched the number of Cook Inlet belugas plummet from 1,300 to the 284 that exist today. It’s more critical than ever that we generate a massive public outcry and ensure that these endangered whales won’t be sacrificed — ever — to oil company profits. Send a message to the Obama Administration to withdraw its approval for this devastating airgun assault — before it pushes the last Cook Inlet belugas one tragic step closer to extinction. What is wrong with human beings....always more money...always more greed...Chief Seattle would be turning over in his grave. 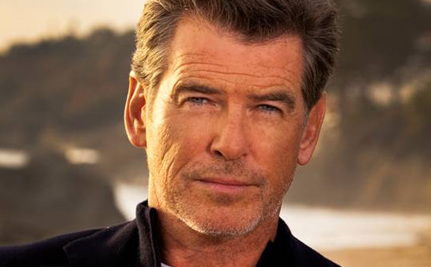 Thank you Pierce Brosnan for using your celebrity status to try and do some good...and for being a good man. This makes me sad ..we humans (homo sapiense) spicies are extingting more and more being ..What a tragedy ..PLEASE STOP ! I have always liked him as an actor and now I respect him for being an animal advocate. Hopefull by lending his voice he can help make a difference for these magestic creatures. On behalf of NRDC, thank you all for signing our petition and leaving your comments! It is so great to see so many of you taking action and engaging in discussion about this very important issue. "Cook Inlet is NOT the only Beluga home in the world! There are sizable populations in both Hudson Bay and Ungava Bay in Canada. Get your facts straight." Here, we are referring to Cook Inlet as the only home of the endangered Cook Inlet beluga whales, not of ALL belugas. The Cook Inlet belugas are a genetically-distinct population of beluga whales that are particularly threatened by extinction, and the sole habitat of this group is in Cook Inlet. Outside of Cook Inlet belugas specifically, you are absolutely right in your assertion that belugas are found in other locations. Disgusting, selfish Alaskan criminals. Many thanks to the handsome Pierce for standing up for the precious, endangered Belugas. You rock! The terror and injury about to be inflicted on these beautiful, peaceful creatures is outrageous. How can we as humans allow this to happen to these graceful, white whales who are loved by children around the world. I could just cry thinking of how much my kids loves the Baby Beluga song. If I had little ones now, I don't know how I could explain this much cruelty to them. I hope someone can stop this from happening. And a little white whale on the go You're just a little white whale on the go." Rudy B-and just what are your qualifications to judge an actor's performance? Got a degree in criticism? I do-and you are full of crap. Brosnan is at the very least using his celebrity to bring attention to an intolerable situation. Leave your ill-considered comments about an actor's performance out of it. One would think that you are in support of those who are destroying wildlife and ecosystems around the world. At the very least your comments lack validity, at the most they demonstrate what many of us believe: the Public at large lacks empathy for creatures who have done them no harm.